Here we have a very early preview of what would later be known as Ecco The Dolphin: Defender of The Future. At that point it was only know as Ecco The Dolphin, it didn't have a subtitle yet. This is the same exact disc used at the E3 1998 expo held in Atlanta, Georgia, to showcase the [then] new 3D Ecco The Dolphin game that would be released almost two years later. The disc plays five different stages in a row when booted up in a Dreamcast console and shows up to 4 minutes of each stage, with a total footage of 14 min. before starting over in loop. You can see a screen with the "Ecco the Dolphin" title and a "E3 Demo" note below when changing to the next stage. Interestingly, the stages look almost final in this version, so the level designs didn't change in the next two years of development. Another interesting fact is that three out of the five stages shown play tracks by Attila Heger (whose tracks were not used in the final game) while the other two use Tim Follin's tracks (but they are placed in different parts compared to the final version). This is the earliest known time Tim Follin's tracks were used on the game, in 1998, whereas it was said that they were added very late on the development cycle of the game. Directly from a Sega Katana HKT-0120 HDD we bring you some files that were discarded during the development of Evil Twin Cyprien's Chronicles for the Sega Dreamcast. Some of them were present on the HDD as is while others were recovered performing an undelete of the Katana hard drive. 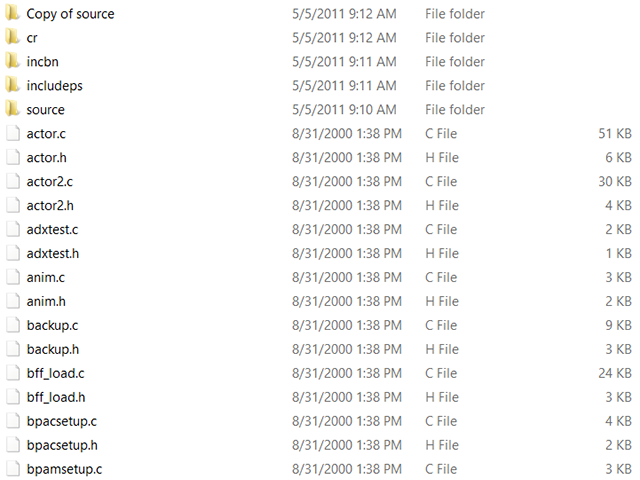 A part from these files, you can also find the ones that make up the final game inside one of the folders. First of all, we find what seems to be a folder for the USA version of the game, showing that Evil Twin was planned for release in America, but due to unknown causes was finally cancelled in the US (not finding a publisher due to being a late game in the Dreamcast's life is the most logical one). There's also audio files in german language scattered through various folders, so a german audio localization was also planned at some point but was not included in the retail disc. Maybe because they didn't fit in the GD-ROM and the publisher thought that selling a localized german version wouldn't be profitable, who knows. Last but not least, there's an alternative version of the title screen of the game inside a folder called "Beta" that differ's a little bit from the retail one and there's also an extra cut scene that's not present amongst the final game video files. Thanks to an anonymous source we have been able to share this NTSC-U unreleased version of the european game "MoHo" for the Dreamcast, straight from the files of this person's Dev Kit HDD. Another unreleased Dreamcast game makes it to the public hands once again ladies and gentlemen! an unreleased localization at least. Some months prior to the release of MoHo in Europe, Ball Breakers was released for the PlayStation in North America. It then changed its name to MoHo (for copyright issues?) and got released in PAL territories for both the PlayStation and the Dreamcast. This unreleased american version of MoHo for the Dreamcast is identical to its european counterpart except for two files: the 1st_read.bin and the PVR image of the title screen (the one that shows Ball Breakers instead of MoHo). Everything else, from characters to level designs, is the same. French and german video/language files are not used in this version but they were present taking up space so they have been removed to make the game fit on a 700 MB release. The european intro video has been removed as well as, once again, it's not used. The USA intro is present in the PAL version of the game so it is the one we have used here, untouched, to make a high quality release. Blitz Games left the source code of their game Chicken Run in a Dreamcast Dev Kit HDD that ended up in the hands of a collector. This collector has been kind enough to share this source code with us. 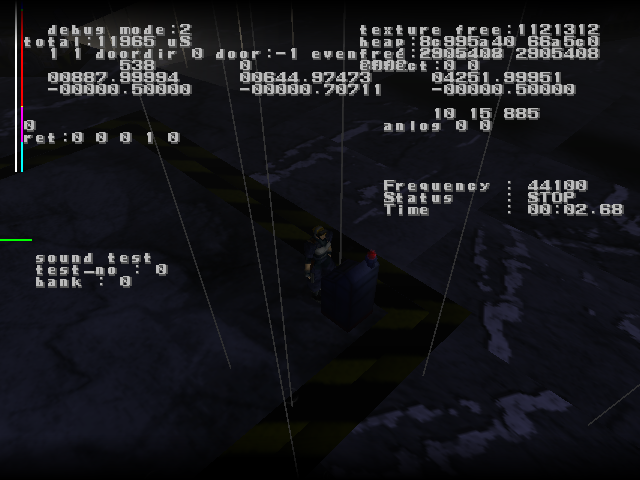 // into puzzle structures with PSX coordinates in the BFF file. // company if it was'nt for the rest of the guys i'd have gone ages ago! There's plenty more comments to be read inside the files. They will give you an idea of how a game is structured and made and all the headaches it can cause.